Cal’s athletic makeover is complete. In April, Cal Athletics unveiled a new look for all of the Bears’ athletics teams that included a new logo and updated font. That updated brand has now made it to Haas Pavilion in the form of a new design for the basketball court. The old court could be described as classic by some but boring by others. It featured a blue Cal script at center court, a couple of Pac-12 logos and little else. The new design brings an updated, modern look to the court that saw both its men’s and women’s teams advance in the NCAAs last spring. 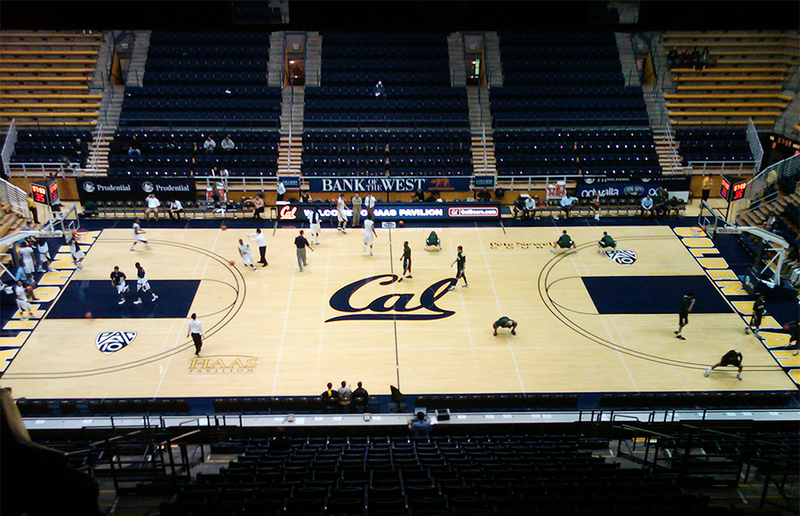 Center court features a large rendition of the new bear logo that Cal Athletics first unveiled in April with a burnt-wood look that seems inspired by the courts at Oregon, Texas A&M, Colorado State, Notre Dame and others. The new update even features “#GoBears” and “CalBears.com” on the sidelines, further establishing that it is a product of the 21st century. Hashtags and URLs were recently removed from NCAA football fields but appear to still have a place on the sidelines of NCAA basketball courts. Cal Athletics believes such details can promote the Cal brand. “All of our visual identity elements are important brand assets, and we believe this floor maximizes each of them,” said Cal Athletic Director Sandy Barbour in a statement to Cal Athletics. Despite the new logo being the clear centerpiece, the design has not abandoned the traditional Cal script. The script appears inside the three-point line on both sides of the court — a location that was previously barren. Cal Athletics made the change with the idea that the script will now have more television time, as the camera usually focuses on one end of the court during broadcasts. “The design enables us to increase exposure of our new visual identity while still maximizing exposure for the traditional Cal script,” Barbour said. While the first change that fans will notice is the bear in the center, other small changes were also made to the court. 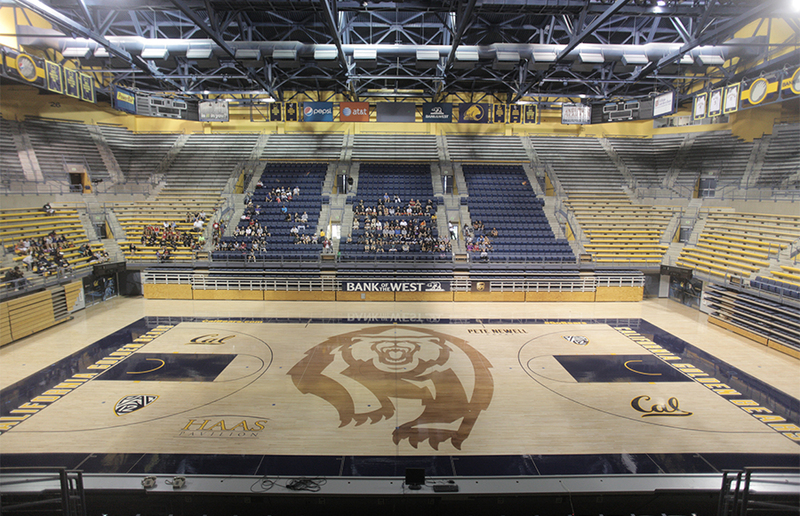 The baseline, which used to read “California” on one end and “Golden Bears” on the other, now reads “California Golden Bears” on both ends in the new, modern font. The “Pete Newell Court” graphic remains but has also been updated to reflect the font change. Meanwhile, much of the status quo remains. The color of the baselines, sidelines and key will remain the same Yale blue that they were before. The “Haas Pavilion” graphic also remains exactly the same. Furthermore, the court will still face toward the student section and television cameras, while the benches for the players will be on the opposite side. 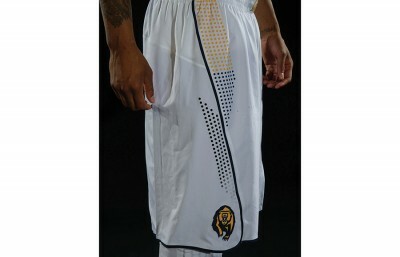 The new design will complement the updated athletic uniforms that all Cal sports received in April. The new jerseys for both the men’s and women’s basketball teams feature the bear logo that is now on the center of the court. 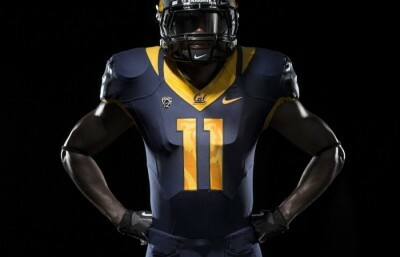 The design represents the move by Cal Athletics toward a more modern, streamlined look. There are currently no plans to update Memorial Stadium or any other playing field in a similar fashion.